Here’s the good news: We’re going to Mars! Here’s the bad news: Food is too heavy! In 2021, NASA plans to launch the Orion spacecraft on a six-month journey to the Red Planet. That will require a lot of heavy, heavy fuel, meaning scientists are currently looking for ways to shed extra weight from the spacecraft. 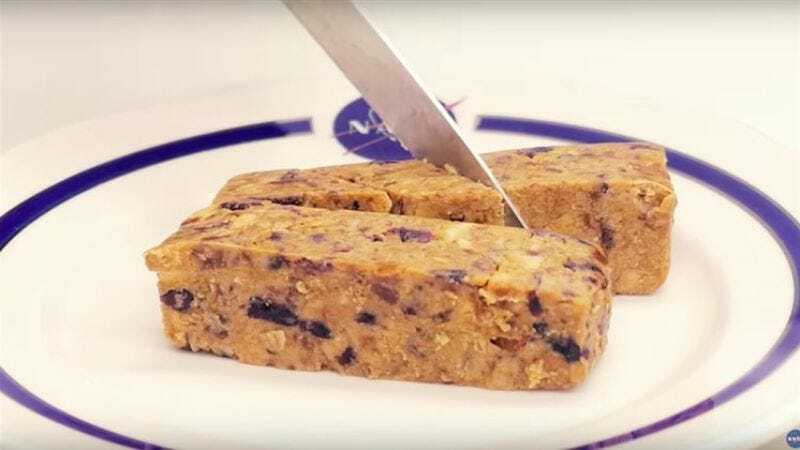 One such way, according to NASA, is to swap in lightweight “food bars” in place of traditional meals. Despite offering a variety of flavors, including orange cranberry and barbecue nut, NASA is still worried the bars may “lower crew morale,” which is why they’re also experimenting with “a vegetable production system like the one on the space station as well as other types of packaged foods.” May we suggest potato chips?